Gardeners in subtropical areas sow winter grass in late fall to early winter to give their lawn color when warm season grass becomes dormant and dies. When spring rolls around, they must kill the winter grass so that warn-season grass can germinate again. Gardeners can use a natural control method that takes time but does not apply chemicals, or choose a chemical control method that removes the winter grass quickly. Cover the winter grass with a layer of newspaper that's 10 sheets thick. Weigh down the newspaper with a 4-inch layer of wood chips, then moisten the wood chips with water. Leave the newspaper on the grass for two to three weeks. The grass underneath will die from lack of resources. Turn the dead grass into the soil with a tiller to plant a garden bed, or rake up the dead grass with a grass rake to remove it so the warm-season seed can germinate. Purchase a herbicide solution that contains glycosphate. This will kill the winter grass. Read the manufacturer's instructions before use. Dress in long pants and a shirt before you apply the herbicide. Put on closed-toed shoes and gloves. Wait until no rain is forecast for at least one week. Then mix the recommended amount of herbicide with water and put it in your sprayer. Spray the herbicide onto the winter grass, working in an even layer. Avoid spraying other garden plants that may be killed by the herbicide. Spray as needed until the entire area is covered with herbicide. Within two to seven days, the grass will begin to turn yellow and die. 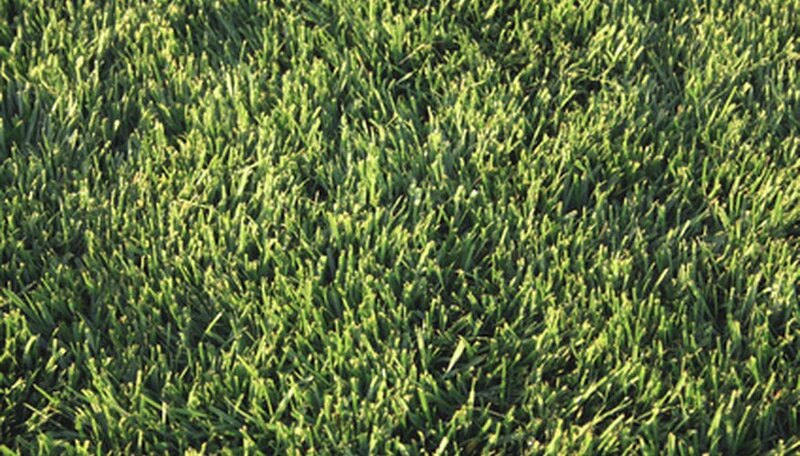 What Is the Difference Between Winter Ryegrass & Summer Ryegrass?